Professor Ganguly and the 2014 Dialogue of Civilizations. The University Scholars Program sponsors a Dialogue of Civilizations to study Climate Change Science and Policy in India with Professor of Civil and Environmental Engineering Auroop Ganguly, who directs Northeastern's Sustainability and Data Sciences Lab. This Dialogue travels extensively to Indian cities and coastal communities to learn firsthand about climate change science, impacts, adaptation and policy. In 2016, sites visited include Mumbai, the Sunderbans, Kolkata, Kharagpur, Ranthambhore National Park, Agra, Udaipur, Jaipur, Ahmedabad, and Delhi. University Scholars document their experience of this Dialogue on the blog Resilient India. The Dialogue is open to students from all disciplines and encompasses the following two courses. CIVE4777 - Climate Hazards and Resilient Cities Abroad: Combines the science, engineering, economic, social, and policy aspects of how cities can prepare themselves for climate change and natural hazards. Focuses on the science of what has been called “global weirding” – unprecedented changes in weather caused by global warming and natural climate variability. Introduces the physical-science basis of climate, computer models of the earth system, statistical tools for the analysis of climate model, and remote sensor data. Also introduces the concept of urban resilience, focusing on preventing natural hazards from turning into catastrophic disasters in densely populated and vulnerable regions. Examines multi-faceted aspect of resilience, including governance, emergency response, infrastructural, informational, social, and policy aspects. Encourages students to consider the science, engineering, and policy challenges in transforming vulnerable urban and coastal regions to climate-resilient cities and to examine how societies can learn from each other by comparing Boston with the country visited. Culminates with a mock climate change war game, simulating an event to negotiate policies and distribution of Indian governmental funds between different sectors, such as water, healthcare, agriculture, energy and, industry. CIVE4778 - Climate Adaptation and Policy Abroad: Explores how the country visited plans to adapt to climate change and natural hazards and how that country chooses to participate in international climate and emissions negotiations. Discussions are set in the context of the history and culture of the country. Focuses on how an emerging economy adjusts to the reality of climate change/extremes and how the will of citizens may drive decisions and policy. Incorporates topics from climate change, environmental sciences, civil and chemical engineering, remote sensing, social sciences, electrical engineering, computer science, and the management sciences. Encourages students to think about possible policy lessons for the US. 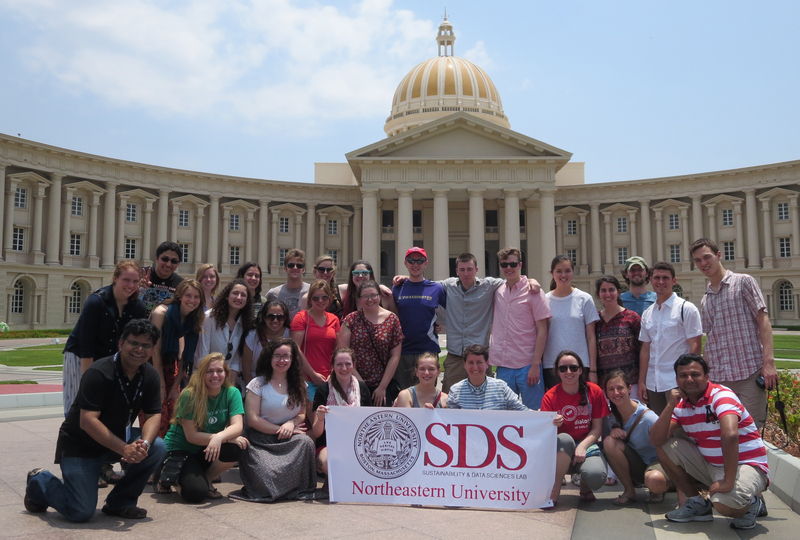 Offers students an opportunity to visit key sights in the country visited. Culminates with a mock climate change war game, simulating an event in which international negotiators meet to formulate treaties on climate change adaptation and mitigation.